As we all knew, the sidecar motorbikes were once famous in the days before and after of 2nd World War. But now, if they have to compete with today's motorbikes, of course the sidecar motorbikes as if they will not be glimpsed anymore. However this sidecar motorcycle has its own loyal fans and of course they will never feel bored. This is the reason for the Russian motorcycle manufacturer, Ural to launch the newest sidecar motorcycle model. 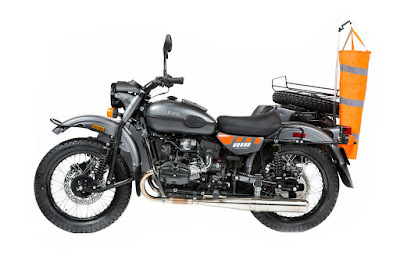 Through the newest model that has now come under the name Ural Air Limited Edition, at first glance the model is similar to those company's motorcycle produced in 1941. 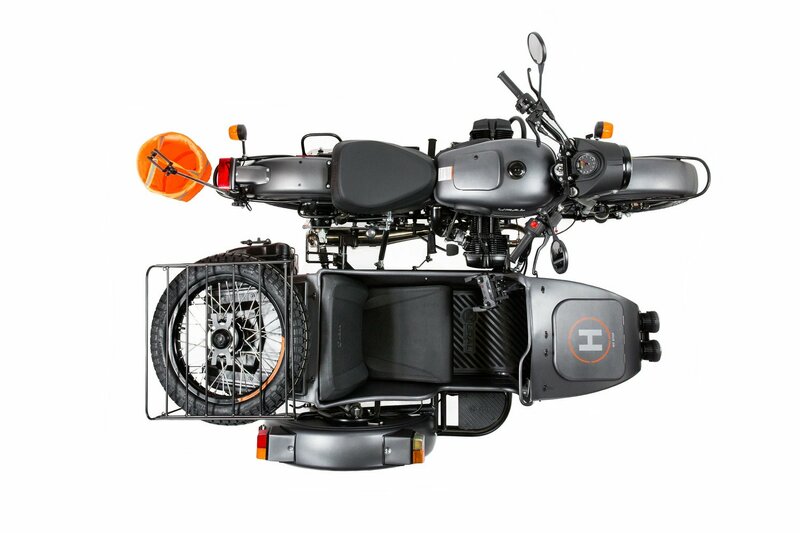 As quoted of Carscoops, these Ural latest motorcycle has been equipped with various modern features. Yes, there are a number of sophisticated devices embedded on this motorcycle, such as the DJI Spark quadricopter remote control and 3D-printed cubby-based camera drones from StrataSys. 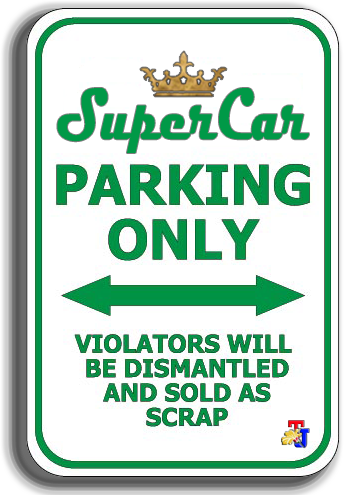 All of these advanced technologies are stored on the sidecar noses baggage and are driven by special remote controls device. Then this motorcycle also has a USB charging port to keep the drone active while the motorcycle is running. Because the Russian manufacturer built the motorcycle to be used as a touring vehicle so equiped it by a travel recorder devices that serves to document all of the user's activity during the trips. In addition to the above devices, the Ural Air Limited Edition also features telescopic selfie sticks, additional two fog lights, luggage racks, spare wheels and tires, jerry cans, tools and shovels as additional equipments that will support the motorbike users in their adventures. 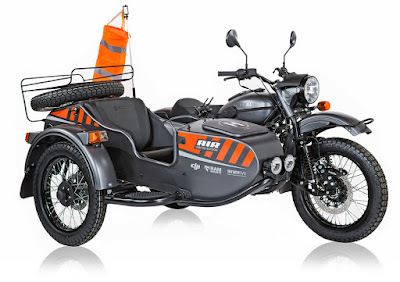 All equipment installed on these new motorbike belonging to the Ural has been calculated carefully so it will not disturb its stabilities when facing the winding road or off-road terrain. To support its cruising capabilities, it also features a two-wheel drive that allows it to pass on various terrains easily. Ural believes the presence of this special edition motorcycle will be warmly welcomed by the world's automotive enthusiasts, especially antique motorcycle enthusiasts. 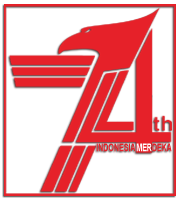 Moreover, the status of the limited edition it carries will make this motorcycle the target of the collectors from all over the world.